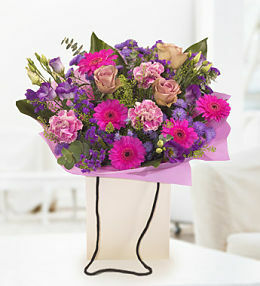 A lovely bouquet in shades of pink, perfect for Mother's Day. This bouquet is arranged by a local florist and will be hand delivered on your chosen delivery date. Florist delivered mother's day flowers with prestige flowers. Our local florists can deliver mother's day flowers to recipients all around the country by hand. 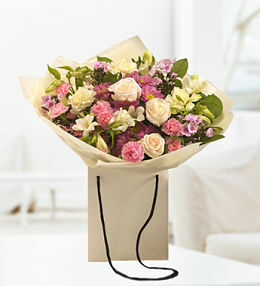 Order before 3pm for same day florist delivery.